Discussion in 'Personal' started by red_observer, Jan 24, 2019. Madurai has made many mistakes in he’s the democratically elected leader of Venezuela. America specialises in destabilising states it doesn’t like. In recent times that’s been Soviet er Afghanistan, then Iraq, followed by Libya, Syria, Ukraine and now Venezuela. I hope we don’t follow in. 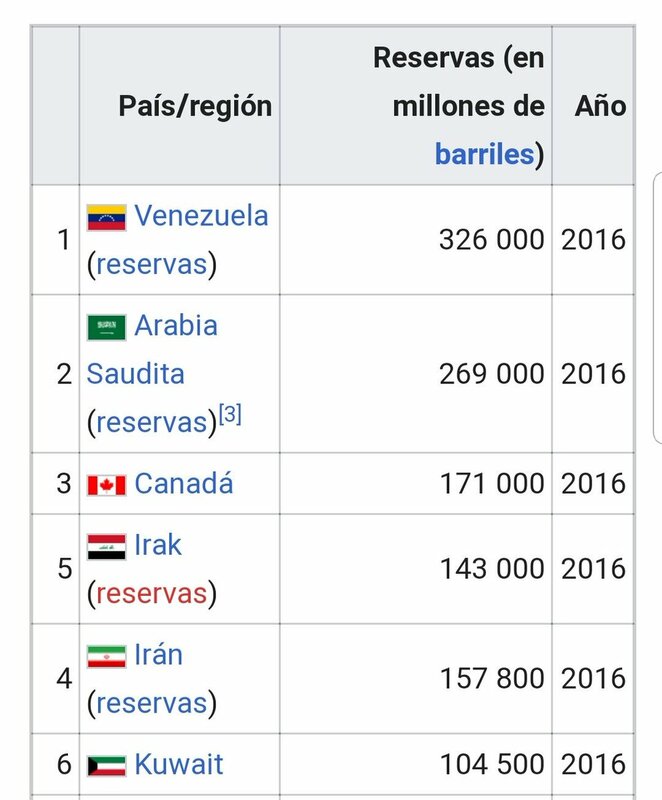 Venezuelans must sort it themselves. I dead serious civil unrest there as this ring end nicely. Let them get everyone round the table for gods sake. We don’t want another Yemen. The imperialist running dogs of the USA, Brazil, Argentina, Chile, Peru, Columbia, Paraguay, Ecuador, Guatemala, Costa Rica, Honduras and Panama have followed. It will end badly for them. Jeremy will speak up for Maduro again, I feel sure. sparklesparkle and lexus300 like this. The Cold War is over Red. Every government describing itself as "socialist" is doomed in the Americas. Its economy will be torpedoed below the waterline by official US sanctions as well as unofficial dirty tricks. Its political dissidents will be armed and encouraged to destabilise the country. This chap Guardio sounds to me like another Bolsonaro - Trump's style of dictator. monicabilongame, vinnie24 and red_observer like this. The surprise is it hasn't happened sooner. There will have been talks between US and the opposition and there will be an agreement that the US gets preferential access to petroleum. Years of protests.. a failed economy while sat on the richest oil supply... a stolen election... a humanitarian crisis as venezuelans flee the country... action taken by governments across the globe. And all Maduro defenders have is that it's a wicked Yankee plot. Aquamarina1234, cassandramark2, sparklesparkle and 1 other person like this. Vehezuela is no example of socialism in action it’s a mess that the yanks are piling on the misery to ordinary people. It’s sad to see. At least the EU is not recognising the American backed stooge... or at least not yet. vinnie24 and nomad like this. Not a new strategy, much of LAm is familiar with it. staggering you can’t see the malign American interference. Even more staggering but not surprising given your previous posts on almost every political topic that you are happy to support the neo con agenda all the time hook line and sinker. You are more intelligent than that. All you do by paddling out Fox News stories just makes you incredible. You expected original thinking? Get real. * It's always all America's fault. Even though Argentina, Brazil, Canada, Chile, Colombia, Costa Rica, Guatemala, Honduras, Panama, Paraguay and Peru have all backed Guaido. Oh, and the EU too. Russia, China, Iran and Cuba are backing Maduro. Do people really want to be on that team? * It's always all about the oil. Even though America is energy independent. * It's always all about Fox News. I don't know why either. * It's Juan Guaido. G-U-A-I-D-O. People might want to at least learn how to spell the guy's name before they opine about him. cassandramark2, sparklesparkle, lexus300 and 1 other person like this. In the last 50 years have the Americans ever intervened to get rid of a right-wing government in Latin America? Trump was looking like he would be different in regard to interfering in other countries. red_observer and sparkleghirl like this. You have got it all wrong Red. Russia and China have invested billions into the venture and they are upset because the USA has spotted that and possibly corrected their interference in the America's. It is another Cuba in a different guise. On the other side of the coin, last October the USNS Comfort (an American military hospital ship) departed for an eleven-week operation in Latin America, with a primary mission being to assist countries affected by the Bolivarian diaspora who received Venezuelan refugees who fled the crisis in Venezuela. The main goal was to relieve health systems in Colombia, Ecuador, Peru. Those nations are home to hundreds of thousands of struggling Venezuelans. Many are desperately seeking health care and fled Venezuela because of a lack of access to doctors and medicine. A recent report estimated 20,000 doctors have left Venezuela since 2012. The hospital ship did not dock in any Venezuelan ports - the Venezuelan President rejected all offers of medical aid from the USA, this denying its citizens the medical treatment needed by so many. The Maduro regime has also rejected offers of aid from the international community, repeatedly denying the existence of the worsening humanitarian crisis. As a result, U.S. aid operations have mainly focused on providing financial aid to help Venezuelan refugees in Colombia. cassandramark2, artboyusa, sparklesparkle and 2 others like this. It is up to the people of Venezuela who governs the country. If Guaido wants to be President then he should run for office. He knows however that he cannot gain power through the ballot box. The people don't want him.That's why he took no part in the last election and that is why he, along with his supporters, will try to take power with violence. monicabilongame, red_observer and sparkleghirl like this. Fox News plants on this site alert. America has overthrown more governments than Russia and China put together and multiplied it by 10 at least. USA may be a democracy but it’s its version of nasty greedy capitalism that I don’t like. MAGAorMIGA, monicabilongame and vinnie24 like this. Is it possible to take a middle path on this topic? The USA have an awful history of economic (& sometimes military) imperialism in Central & South America, as well as elsewhere. But t the same time Venezuela, which should be a rich county, is an economic basket case due to the policies of the last decade or more. But how to remove the current regime, and create a democratic state without the US taking the sort of intervention they have done in the past - that's the $64,000 question! chelsea2 and nomad like this. It is already a democratic state. Not really. When has power passed from one party/President to an opponent peacefully as a result of an election? interesting that you get away with your headline. Imagine the reaction if I had typed one out calling C***** imperialism. lexus300 and needabreak like this.